YANGON, Jan. 28 (Xinhua) -- Two young girls taking pictures on the top of a waterfall in Kawkareik, Myanmar's Kayin state, have fallen to the base of it and died at the scene, the official Global New Light of Myanmar reported Monday. 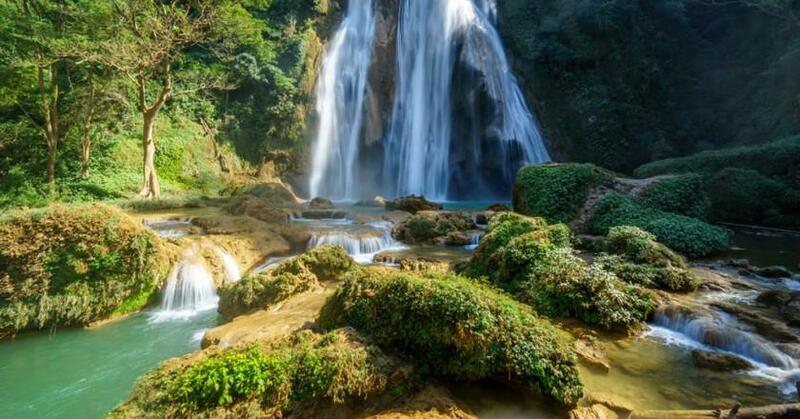 Aged at 19 both, the two friends, who were on a trip with eight other friends to the Taw Naw Waterfall on Sunday at 11:30 a.m. local time, fell 60 meters to the base of the waterfall. Of the two victims, one was taking photos near the top of the waterfall when she slipped, prompting her friend to grab her in an attempt to save her from the fall, but unfortunately both girls tumbled over the edge. One died at the scene with fatal injury to her head from hitting the rock walls on her way down, while the other who suffered a broken jaw and serious injury to her head, died also when she was receiving treatment at the hospital.